1. I had my first workout Wednesday morning after more than 3 whole weeks of inactivity. 2. I just got clue to a new challenge and I am really excited that I may not bored out of this. 3. Intermittent Fasting is working and I am not worn out. It's more spiritual than physical and that keeps me going. 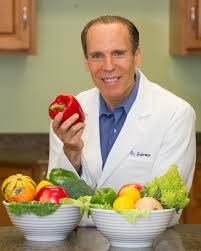 The post on true hunger is not really mine but a fact as researched by Dr. Joel Fuhrman, M.D. Likewise, a few hours after eating the standard low-nutrient diet most people begin to feel "hungry". They feel weak, headachy, tired, mentally dull, and have stomach spasms. I call it "toxic hunger" because these symptoms only occur in those who have been eating a toxic diet. True hunger would not have occurred so early after the meal. In an environment of healthy food choices, we would not feel any symptoms after a meal until the hormonal and neurological messengers indicated the glycogen reserves in the liver were running low. Nature has made it so that our body has the beautifully orchestrated ability to give us the precise signals to tell us exactly how much to eat to maintain an ideal weight for our long term health. This signal I call "true hunger" to differentiate it from the “toxic hunger" everyone else calls hunger. In a portion controlled (calorie counting) diet it is likely that the body will not get adequate fiber or nutrients. The body will have a compounded sensation of hunger and craving which for most is simply overwhelming. It invariably results in people losing weight then gaining back their weight. Calorie counting simply doesn't work in the long run. Diets based on portion control and calorie counting generally permits the eating of highly toxic, low nutrient foods and then requires us to fight our addictive drives and attempt to eat less. This combination under-nourishes the body resulting in uncontrollable and frequent food cravings. Visit his website drfuhrman.com or his blog diseaseproof.com. Weigh in Wednesday morning at 167.8lbs, a gain of 0.8lbs but which I attributed to sodium (salt) in food eaten out. Nothing tastes better and controlled like home cooked meals. And when the salt was gone from my system, I weighed in at 166.4lbs this morning.